Gmusicbrowser can't play music - For so many reasons we play any fovorites music from computer, laptop/notebook, or gadget such as Android phones, iPhone, iPad and others gadget. For who decide be Linux user you might know about gmusicbrowser. If you facing this message the you'll not able to hear anything for sure. Then how to fix the error? I'll tell you how to solve this. So you do not have to worry about it anymore. 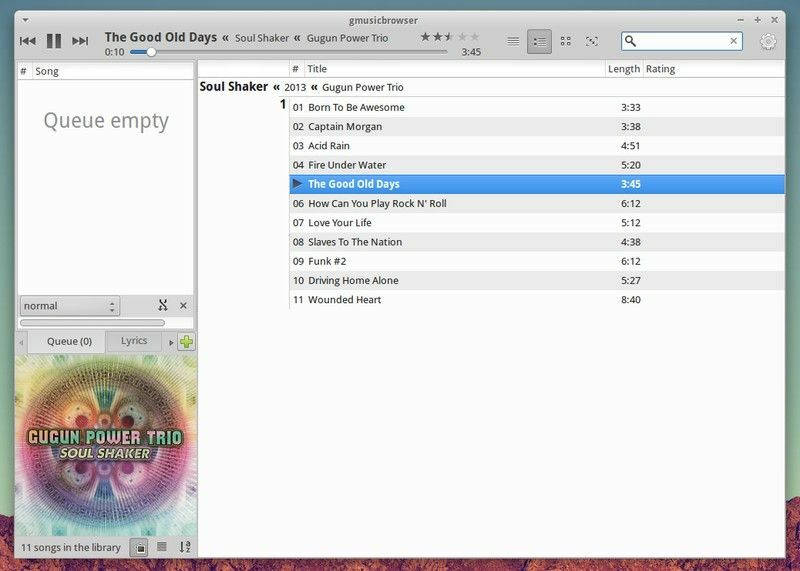 Gmusicbrowser is a music player software that customize-able open-source jukebox for large collections. Requirements : perl, gtk+2 and its perl bindings, gstreamer and its perl bindings or mpg321/ogg123/flac123/amixer or mplayer, (optional) the Net::DBus module is needed to control gmusicbrowser through DBus or to use the included gnome multimedia keys plugin (for gnome >= 2.18), (optional) the Gtk2::Notify module is needed to use the notify plugin. Step 1 - Close the Gmusicbrowser first. Step 2 - Open your Linux terminal, press Alt+Ctrl+T for quick open / shortcut. 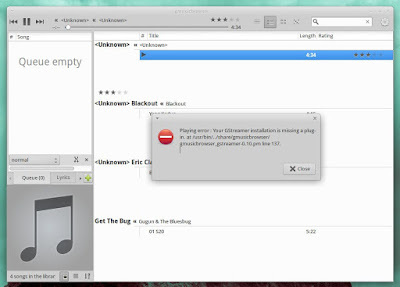 Step 6 - Open Gmusicbrowser and viola Now you can open any music and enjoying the music!. So that's all I can write about Easy Steps To Fix Playing error : Your GStreamer installation is missing a plug-in. at /usr/bin/../share/gmusicbrowser/gmusicbrowser_gstreamer-0.10.pm line 137. Hope you've enjoyed reading this tutorial as much I’ve enjoyed writing it and thanks for visiting us.